We all have our own opinions on what made a good or a bad transition from the page to the small screen – but isn't it fascinating to hear what an author thinks about the adaptation of his or her own work? 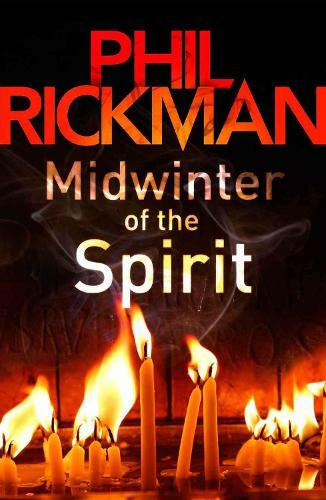 Well, here to give us a glimpse is Phil Rickman, the creator of the Merrily Watkins Mysteries and inspiration behind the dark, brooding ITV drama, Midwinter of The Spirit. 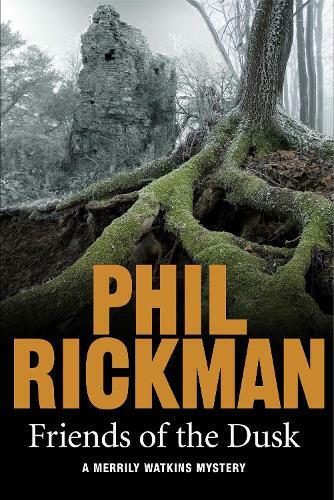 The 13th Merrily Watkins Mystery, Friends of the Dusk is out today, Thursday 3rd December. Late one dark afternoon, just when I thought it wasn’t going to happen - filming scheduled to start in a matter of weeks and the cast still dangerously incomplete - an email came in from the producer. It said, We have our Merrily. A moment’s relief gave way to apprehension over that note of finality and the words our Merrily. It works like this: they cast someone and run the name past you. They’d talked about several possibilities for the role of my central character, none of them much like the woman who’d lived in my head for over fifteen years. They’d shrug. You’ve signed the rights away; she’s theirs now. Blimey, it was her. She actually looked like my Merrily. When Midwinter of the Spirit was screened in the early autumn, I don’t think there was a single TV critic who didn’t think Anna Maxwell Martin was outstanding as a single mother and ordained priest, newly appointed as deliverance consultant (it means Diocesan Exorcist) for Hereford. Most other TV reviewers were similarly approving. Can’t tell you how relieved I was. Unless they’re already hugely successful, novelists tend not to bounce back from duff telly. If the TV series bombs, the writer of the original books winds up taking the hit. For every Colin Dexter, there are probably three talented crimewriters whose careers have been destroyed by miscast characters and a contemptuous disregard of the book. ITV’s Midwinter - well, you couldn’t have asked for a better cast. The great method actor David Threlfall spent an hour grilling me on the phone about the motivation of Merrily’s mentor, Huw Owen. Even the actors who didn’t at first seem quite right were a revelation.The production team were flexible, friendly and professional. And the plot - OK, it was messed around because of a need to squeeze 550 pages into three short episodes, but it more or less survived. I think this was because it’s the most linear story in the series and, as the screenwriter Stephen Volk realised, the tension hangs on what The Guardian, in an early review of the book, called ‘mother-and-daughter growing pains’ between Merrily and her turbulent teenager, Jane. If you hadn’t read the book and didn’t know there was a more complex plot and other strong characters with human emotions and personal problems, you’d love it, as millions of viewers clearly did. If you had read the book, however, it would have underlined, once again, why popular TV drama and novels are essentially incompatible. The story would not be too complex to be explained mainly in pictures. There would be no subplots. Incidents would be selected for spectacle rather than plausibility, in the knowledge that, on TV, very little needs explaining because seeing is believing. It would have a maximum of five major characters whose whole lives were committed to being part of one story. People who - realising they were inside a dark thriller - would never say or do anything irrelevant to the central thrust. The major reason a good novel usually beats good telly is that a book is one person’s vision and TV a factory. Changes can be demanded by executives who’ve never read the book, only the script. If there’s something that someone powerful doesn’t like, it gets removed and if you lose one element you have to lose or replace others to re-knit the story. And so it goes on until, by the third series, the original books are just a smudge on the horizon. Most writers merely sigh, take the money and walk away. I was told this was the way to stay sane, but found I couldn’t do it. It’s true that ITV’s Midwinter contains a couple of good ideas I wish I’d thought off when I wrote the book, but it also contains some daft ones. Don’t ask me about the crucifixion that wasn’t in the book. It’s there purely for effect and is never explained because it can’t reasonably be explained. In a novel you’d have to justify it. On TV, seeing is believing. But I’m an optimist. I don’t think it has to be like this. At present, US crime dramas are generally better than the UK’s, because they accept that viewers can be engaged by character as much as plot, and that both need space to breathe between the set-piece shocks. In an era of dramatic change in viewing habits, British drama bosses clearly don’t like to risk it. So… is there a Spring after Midwinter? Will Merrily Watkins return to TV? Dunno. The series didn’t collect huge overnight viewing figures. I’m inclined to think this is because, with less than two and half hours, discounting ads, a high proportion of viewers chose to record the lot and watch it in one night, skipping over the commercial breaks… which is not, of course, what ITV and its advertisers want. If it does get another run, I’d love to see six episodes and a quieter pace, allowing for subplots, better dialogue and character development. But, hell, I can’t complain. The media realised that here was something with the potential to be truly different. And over four million viewers now know who and what Merrily Watkins is, with a very positive impact on book sales.